Rachel Steinhardt is the Deputy Director of Welcoming America, a nonprofit that works to foster a more welcoming climate for immigrants in communities across the USA. Her career includes work spanning a number of social justice and community building issues at the local and international levels, including periods spent as the director of the Montgomery Coalition for Adult English Literacy and as a regional director of United Way. 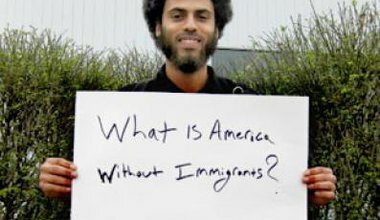 With immigration policy the hottest of hot button issues in America, is it possible to transform the debate? Only by engaging with each other at a much deeper level to create a collective vision of the future.